Skin Design London has seen explosive growth since its official new collection launch in 2017. It now ships to a global audience, thanks to a cult demand for its edited transformative collection that show instant vibrancy and delivers skin health. “Fusing cutting-edge cosmeceutical expertise with couture formulations, Skin Design London’s carefully curated range of luxurious products marks a new era in performance skincare”. This growth is a testament to the brands close relationship with its clients who are seen as founding partners of the brand. “I started this journey out of frustration of not finding the products to make me feel and look good without having to go into hiding and a desire to please every client when they purchase a product and demand highly effective but luxury, glamorous, functional skincare”. Showcasing innovative ingredients like encapsulated retinol, multi-molecular weight hyaluronic acid and high-percentage Vitamin C combined with beautiful botanical actives and soothing antioxidants, Skin Design London provides an elevated skincare experience with impressive results. With a passion for skin science and over a decade’s experience running an exclusive aesthetic clinic, founder Fatma Shaheen felt there was a distinct gap in the market for straight-talking, transformative skincare. Within one year she has transformed the niche skincare market with a collection that has amassed a global cult following. “I am so proud to have created a collection with my clients that everyone uses as there go to skincare for instant results and a skincare that looks after the health and vitality of skin. Spending every day with my clients, I noticed their frustrations having spent precious time and money in search of skincare that would work. I knew then and there that I wanted to create a collection that was able to deliver luxurious yet efficacious formulas and extend their clinical experience, delivering professional results at-home.” From the outset my clients have been at the heart what I wanted to create. Together we have created a brand that gives you what you want from skincare. Our message is simple to the point”. Clients are at the heart of the brand. Every product and treatment is created in conversation and only go to market once they are happy with the results of each product on their skin. 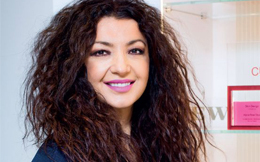 Alongside her award-winning product range, Shaheen still holds high regard for in-clinic treatments, which led her to the launch of The Peel Bar by Skin Design London; a one-stop shop for state-of-the-art aesthetic facials.